Jaelynn Willey, 16, was shot in the head by the attacker, with whom she had had a relationship. 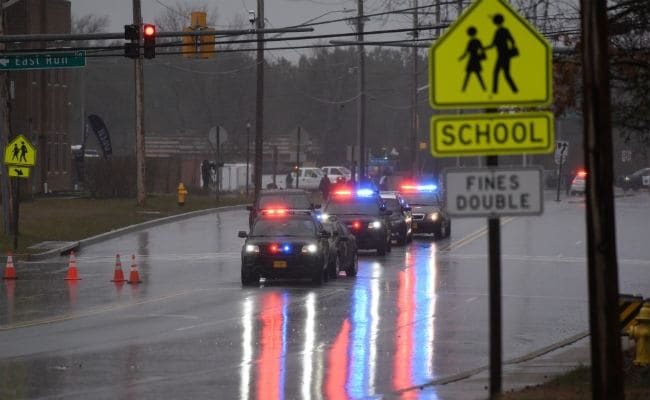 Washington, United States: A teenage girl wounded in a school shooting in Maryland is brain dead and will be removed from life support, her family said. Another student was wounded in Tuesday's attack, and the assailant -- also a student -- was shot and killed by a police officer stationed at the high school in southern Maryland. The girl, 16-year-old Jaelynn Willey, was shot in the head by the attacker, with whom she had had a relationship. Her parents told a news conference Thursday night that their daughter was brain dead. "My daughter was hurt by a boy who shot her in the head and took everything from us," said her mother, Melissa Willey, according to The Washington Post. The Great Mills High School shooting came about five weeks after a massacre at a Florida high school left 14 students and three adult staff members dead and sparked a grassroots campaign for tougher laws on gun ownership.